(CNN) - Ohio is prohibiting doctors from performing abortions in cases where tests reveal the fetus has or likely has Down syndrome. Republican Gov. 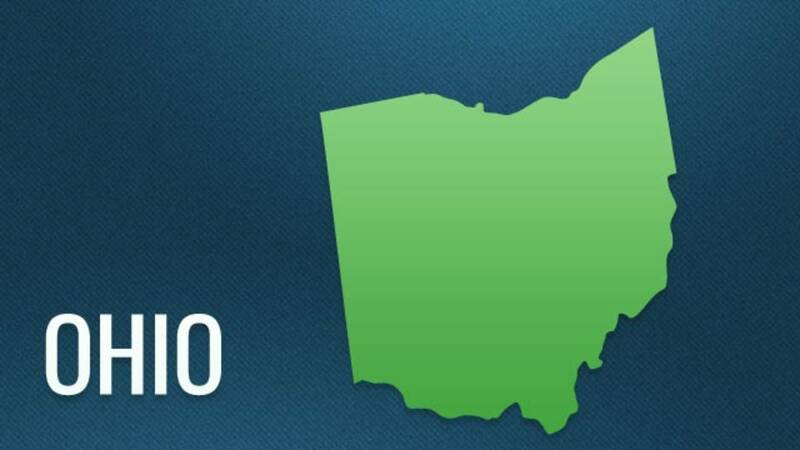 John Kasich signed the legislation Friday and the law goes into effect in 90 days. "The governor is pro-life and supports policies that protect the sanctity of life," press secretary Jon Keeling tells CNN. The law prohibits abortions after prenatal tests reveal Down syndrome in a fetus or if there's "any other reason to believe" the fetus has the genetic condition. A person performing an abortion in such a case could face a fourth-degree felony charge, and physicians could lose their licenses. The woman seeking the abortion would not be held accountable, according to the legislation. Similar laws have passed in North Dakota and Indiana, though a federal judge blocked the Indiana law. The North Dakota law went into effect in 2013. Down syndrome is a genetic condition that affects cognitive ability, causing mild to severe learning disabilities and distinctive facial characteristics. The condition can be diagnosed during pregnancy through prenatal screening tests. Treatment can include speech, occupational, emotional and other therapies; supplements and drugs; and assistive devices. Anti-abortion advocates praised the new law. "Now that the Down Syndrome Non-Discrimination Act is law, unborn babies prenatally diagnosed with Down syndrome are given a shot at life," said Mike Gonidakis, president of Ohio Right to Life. "Ohio is and will continue to be a state that sees the lives of people with Down syndrome as lives worth living, thanks to this legislation." Ohio Rep. Sarah LaTourette, a Republican who introduced the House bill last month, said it's not an abortion issue, but rather an issue of discrimination. "A diagnosis of Down syndrome for your unborn child can be devastating and life-changing. Not everyone is equipped to handle this lifelong commitment, but thankfully, as you can see, there are now many options available to families," she said before the Senate voted on the bill last week. "I believe that life begins at conception and that abortion should never be considered an option. However, regardless of if you agree with me or not, I hope that you can see that this is not an issue about abortion; it is an issue of discrimination -- discriminating against a person, not allowing them their God-given right to life, simply because they might have Down syndrome." The American Civil Liberties Union of Ohio condemned the legislation, saying it would interfere with women's rights to make personal decisions. The group had called for Kasich to veto the bill. "We should never force any woman to become a parent against her will or question her decisions about pregnancy. We don't know her circumstances. Shame on our legislators for judging anyone else's decision about something as important as whether to become a parent," said Gary Daniels, chief lobbyist for the ACLU of Ohio. "We urge Gov. Kasich to do the right thing for Ohio women and families and veto this dangerous legislation." Emily Chesnut, a mother of four from Cincinnati, became a Down syndrome activist after her 6-year-old daughter was diagnosed with the condition. She said she's against the law. "I think they are using Down syndrome as a face to restrict women from having abortions," Chesnut said. She believes that women should have the right to make their own medical decisions and that this bill confuses that issue. Information is what people need when it comes to Down syndrome, she said. "I think people who are on both sides would agree we need more information. It's scary when you hear your child is not perfect, but accurate information is the most important," said Chesnut, who previously promoted a bill that required the Ohio Department of Health to have up-to-date Down syndrome information. When there is a diagnosis, "what is needed is information, not restrictions," she said.